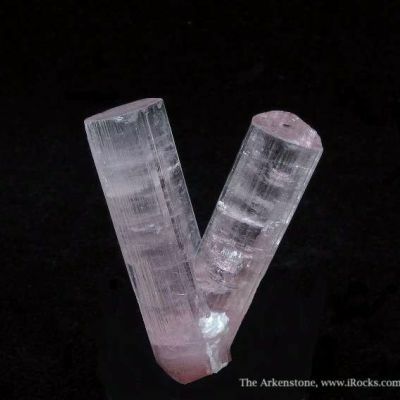 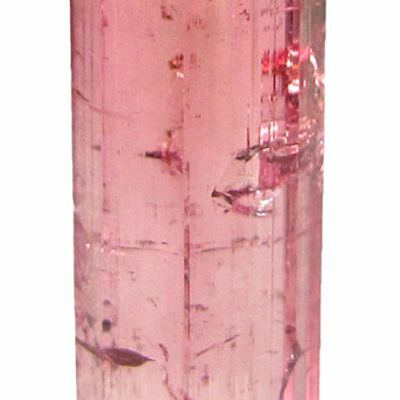 Quite uncommon, Fluor-elbaite has been found only a few places around the world. 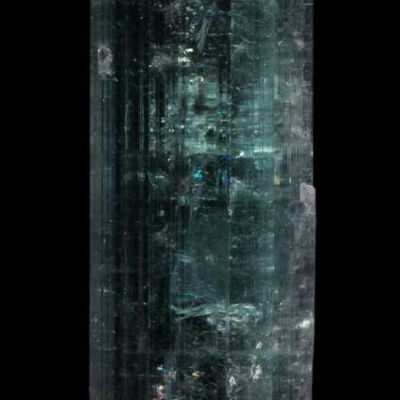 The crystals in this cluster are a deep blue-green, with great luster and excellent terminations. 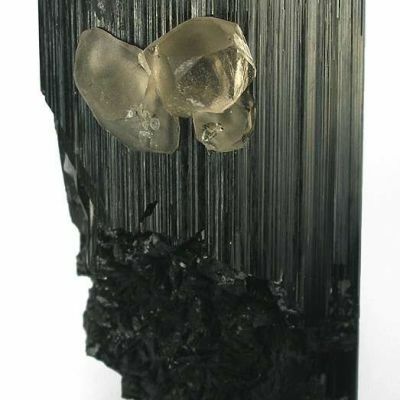 The Fluor-elbaites are gemmy to translucent, and the parallel growth of the crystals gives the specimen a very architectural look. 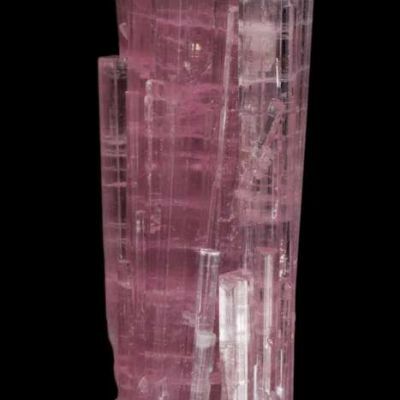 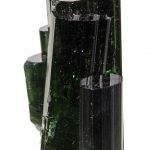 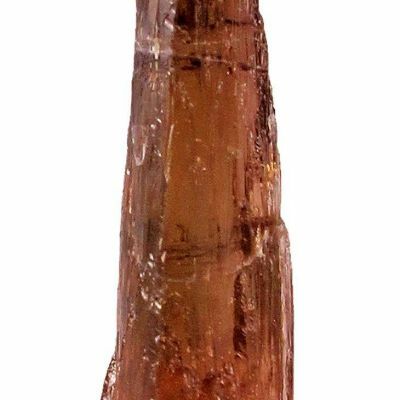 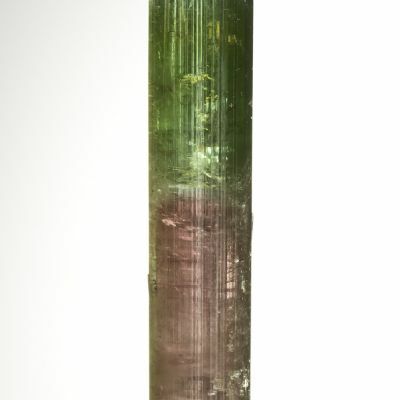 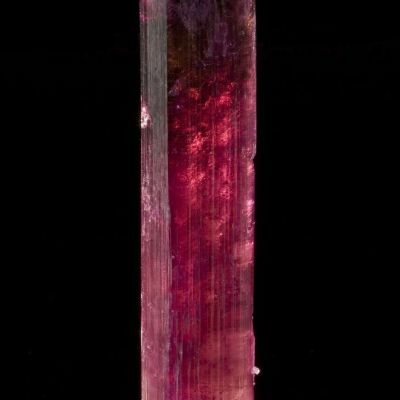 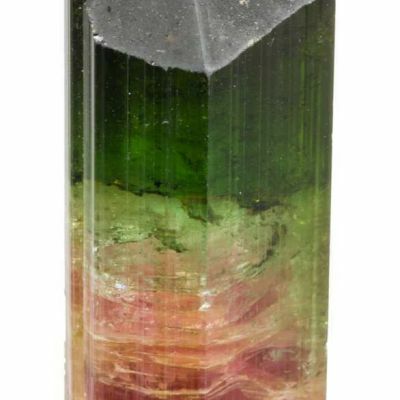 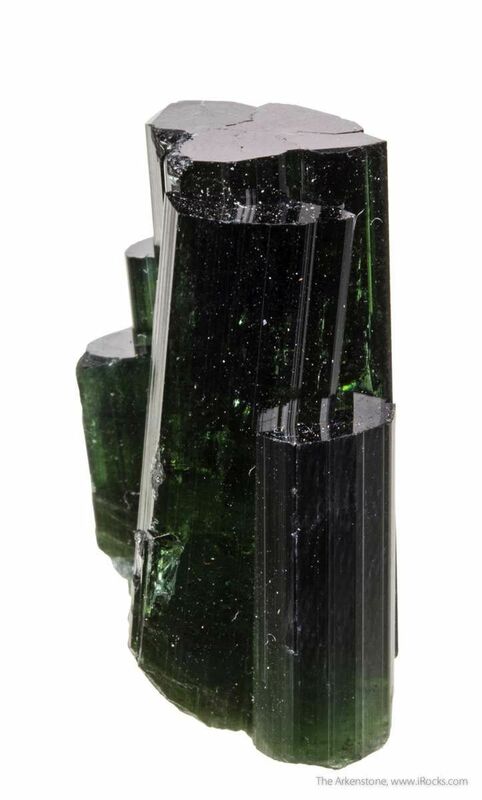 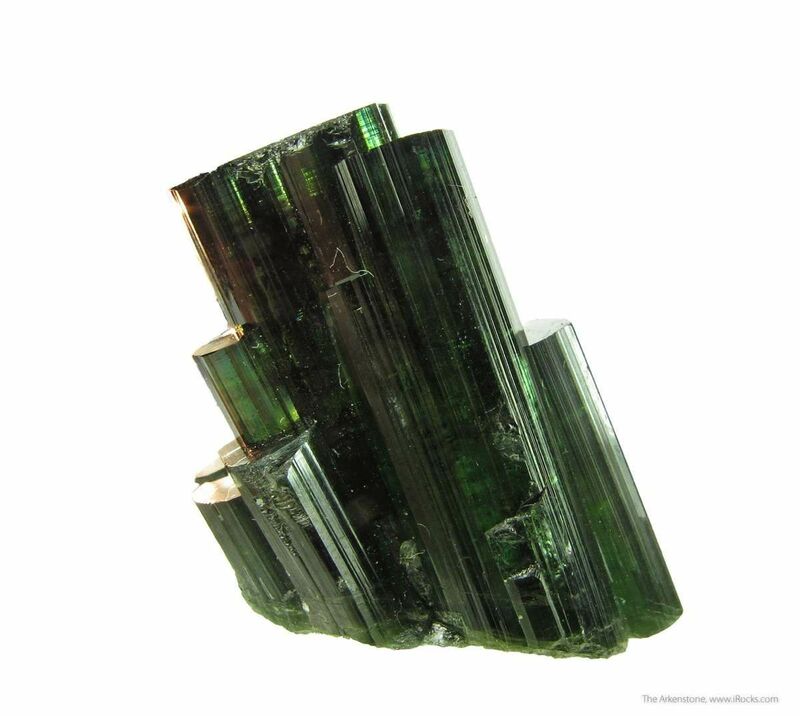 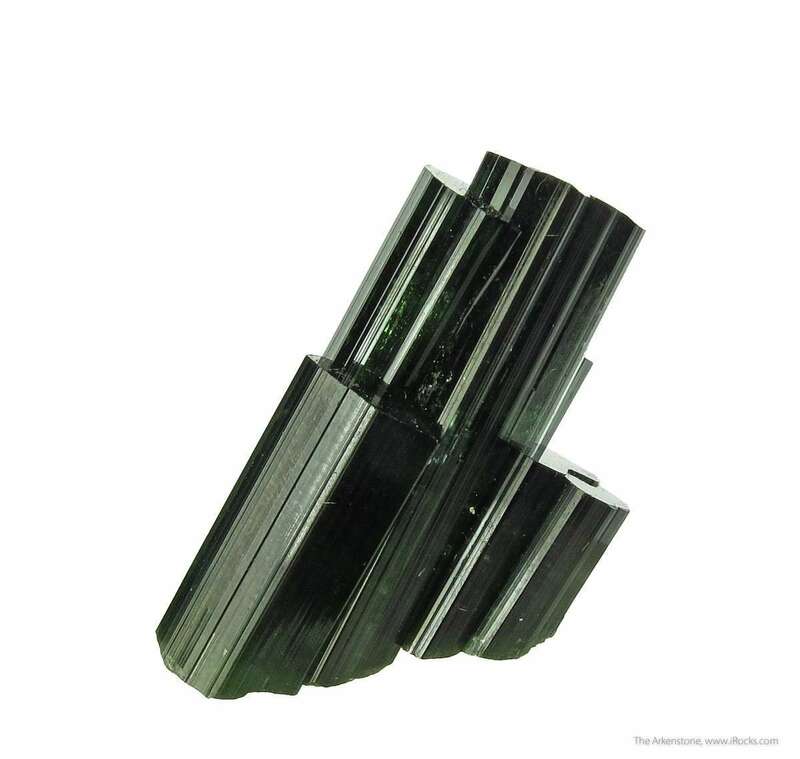 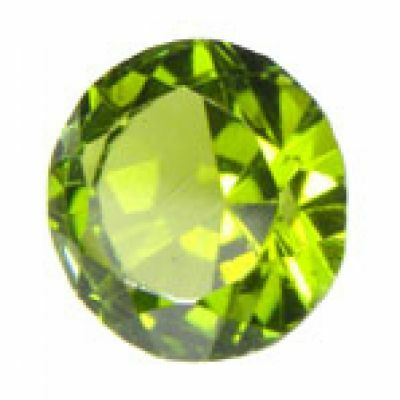 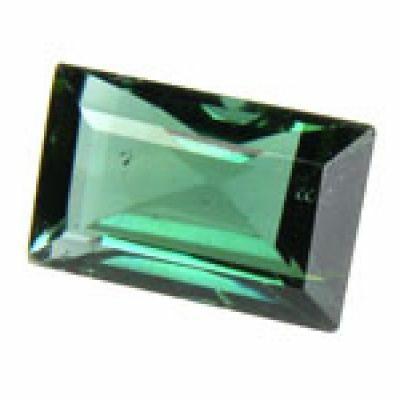 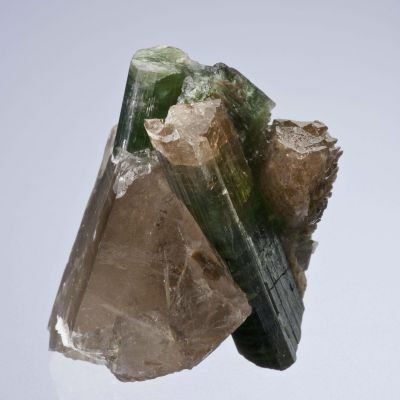 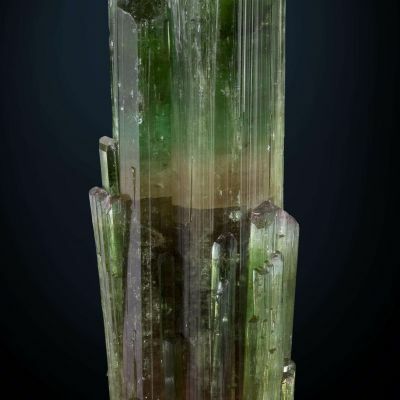 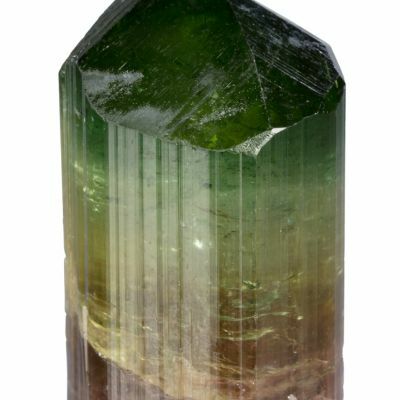 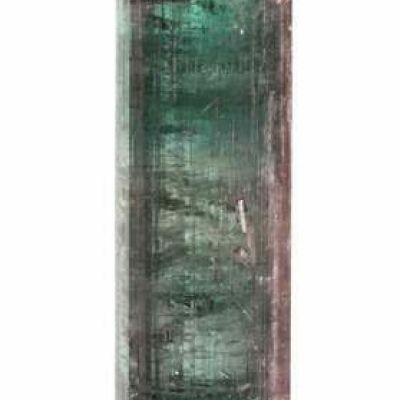 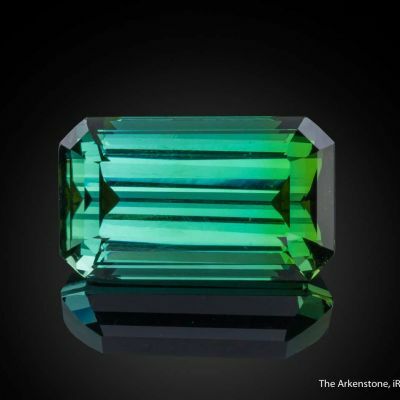 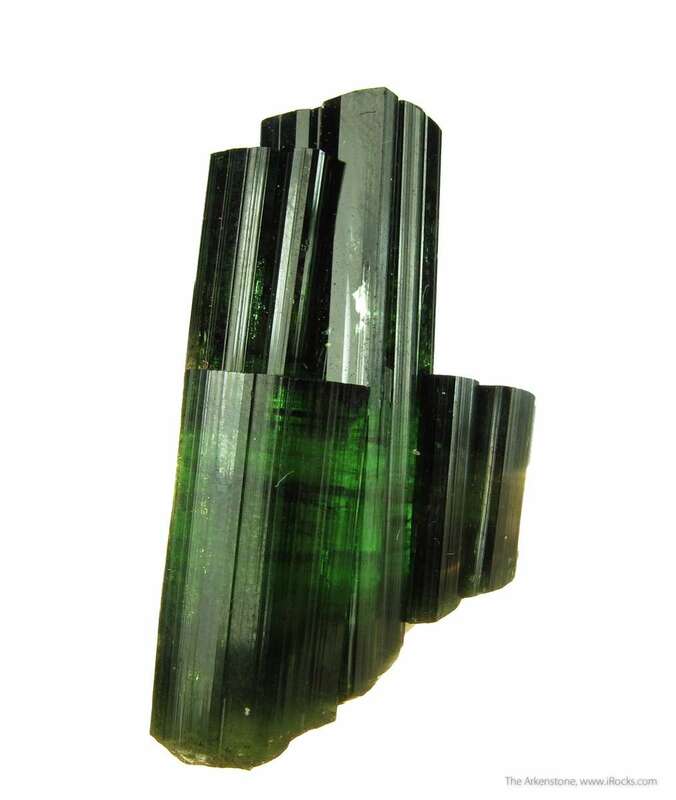 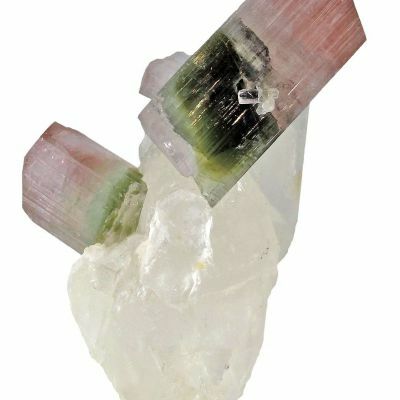 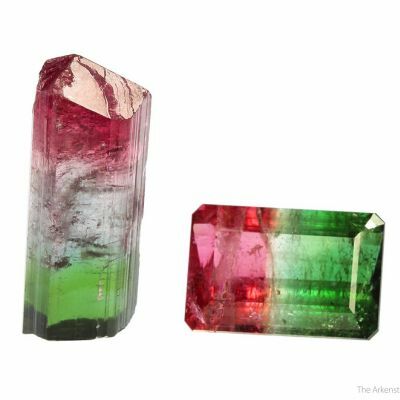 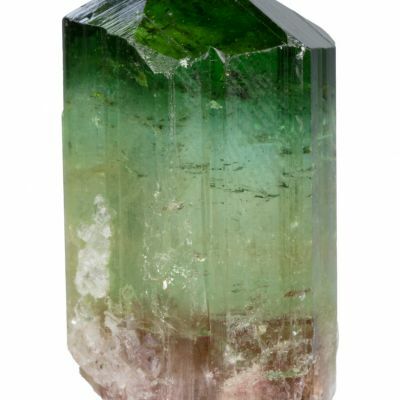 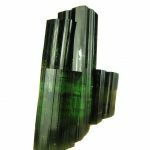 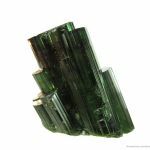 There is a minor amount of wear on just a few of the edges, but this is minor as this piece is considered among the best of species for this tourmaline variety (per Jim Houran, comments). 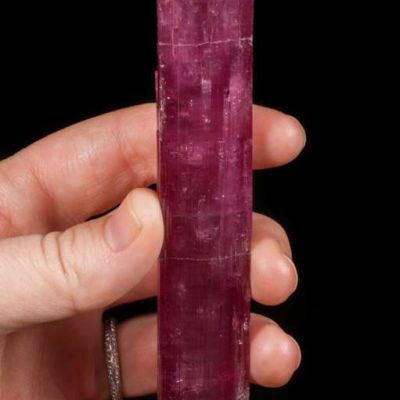 A very fine specimen.